El proximo domingo el Padre Pedro West (su foto y biografia están en la sección en inglés) predicará en todas las misas. El Padre Pedro es miembro de Sacerdotes Para la Vida (Priests for Life). Tendrá un mensaje importante para todos nosotros. Este domingo la Dra. Gina Landicho, M.D., está con nosotros para una introducción al Método Billings de Planificación Familiar Natural. Matrimonios y jovenes están cordialmente invitados a participar a la 1:45 p.m. en el “Salon Tice” (primer nivel de la escuela parroquial). En solamente cuatro semanas tendremos la anual Peregrinacion a la Catedral. Se llevará a cabo el 8 de marzo (sabado). Nos reuniremos en el templo de Holy Family, comenzando a las 7 a.m. y saldremos a las 7:30. La Caminata a la Catedral toma unas cuatro horas, incluyendo paradas para oración y descanso. A mediodia habrá la misa en la Capilla de Nuestra Señora de la Catedral y despues de ella, un almuerzo en el Centro Gallagher de la Catedral. Next Sunday we will have a guest homilist. Fr. Peter West from Priests for Life will preach at our seven weekend Masses. Also, on Sunday afternoon he will meet with our Confirmation candidates. Father West has been a pro-life activist since 1986. He earned an M.A. 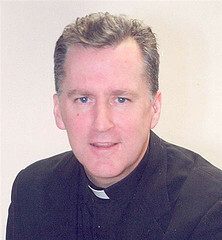 degree in theology from Holy Apostles Seminary in Cromwell, CT. and was ordained for the Archdiocese of Newark in 1991. Father West was the founder and director of Amicus, a successful Catholic young adult group for men and women in their twenties and thirties. He also has experience in working with youth as a teacher and a youth group leader. In his pastoral ministry he has preached frequently on the topic of abortion. He has been able to dissuade women from having abortions, and has helped women who have had abortions to find healing and peace. He spent almost seven years in pastoral ministry before being released by Archbishop McCarrick to serve with Priests for Life. Fr. Peter West began his ministry with Priests for Life on April 1,1998. Since that time he has spoken to both priests and laity at over 300 parishes throughout the United States. 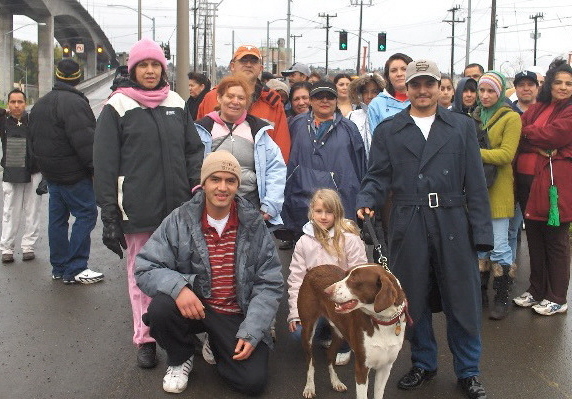 He also has appeared on radio and TV spreading the Gospel of Life. Fr. Peter West is based at the Priests for Life office in Staten Island, NY. "Jesus begins his Beatitudes by teaching “Blessed are the poor in spirit, for theirs is the kingdom of heaven.” In this beatitude he teaches us that happiness is found through humility and detachment from material things. An unhealthy sense of pride, greed and avarice are contrary to this beatitude. For families this means accepting children lovingly from God, even if that might mean living a less wealthy lifestyle. Abortion, contraception and sterilization are opposed to this beatitude. Humility is recognizing our place in relation to God. A humble person acknowledges that God alone is the Master of human life. Only he has the power to give a human life, only he has “a right to choose” to take an innocent human life to himself, including that life which is unformed in the womb or disabled at the end of life." 1999: God or Gods of Culture? In just four weeks we will have our annual Cathedral Walk. It will take place on Saturday, March 8. We gather in Holy Family Church beginning at 7 a.m. and will leave at 7:30. 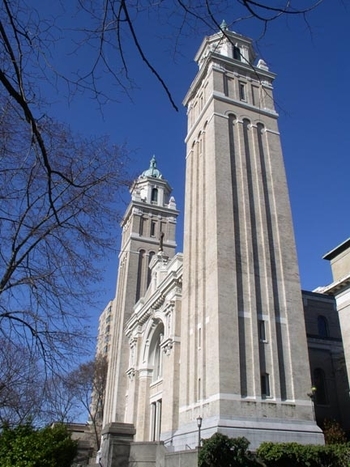 This pilgrimage to St. James Cathedral takes about four hours, including stops for refreshments and prayer. At noon we will have Mass in the Lady Chapel, followed by lunch at the Gallagher Center. Those who are not able to make the walk are welcome to join us at the Mass and lunch afterwards. I encourage you to take full advantage of this Lenten season. On Fridays we have Stations of the Cross at 6 p.m., followed by Soup Supper beginning about 6:30. Fr. Ramon and I are available for confessions at 7 p.m. on Fridays as well as Wednesdays at 7:30 p.m. and Saturdays between 9 and 10 a.m. Consider attending daily Mass during Lent. The full schedule is on the front of the bulletin. The more adventurous might want to come to the Pope John XXIII Mass on Tuesdays at 7:30 p.m. It involves some Latin responses, which are found in the English-Latin Booklet Missal (available in the church on Tuesday evenings). This extraordinary form of the Mass also includes more extensive periods of silence and reception of Communion at the communion rail. Finally I want to encourage you to accompany our candidates and catechumens as they prepare for the Easter Sacraments of Baptism, Confirmation and Eucharist. On February 24 we will have the first “Scrutiny” (pre-baptismal exorcism) at the 11 a.m. Mass. That weekend we will read the beautiful Gospel of the Woman at the Well (John 4).